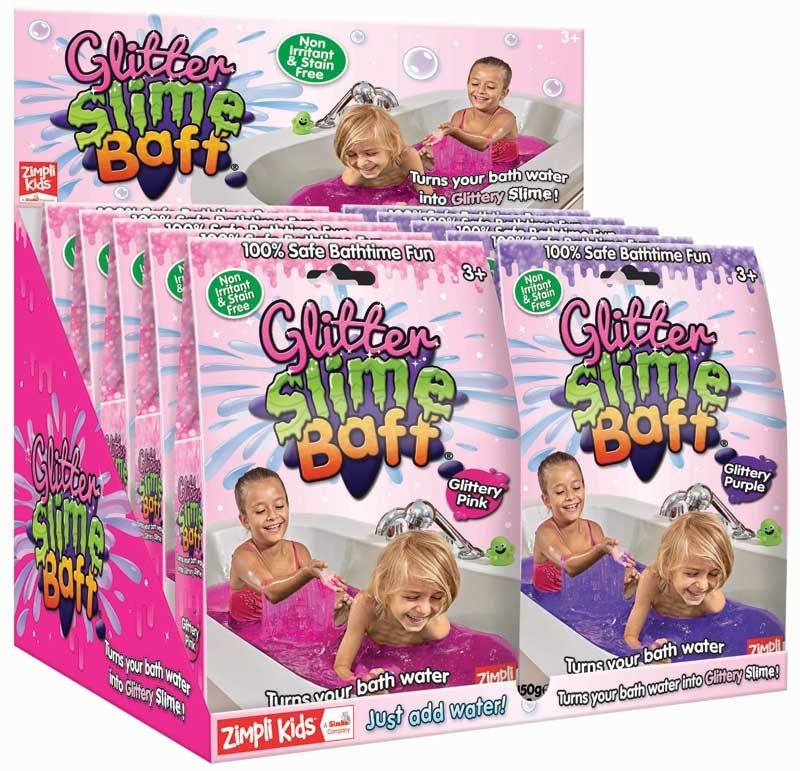 Glitter Gelli Baff is a totally unique, fun, bathtime product that lets you turn water into pink/purple glittery goo! By adding Glitter Gelli Baff powder to water, you create a thick, glittery goo. By simply adding a second dissolver powder, the goo turns back to coloured water to be drained away safely and easily.